Sometimes, though, it can be hard to find wheelchair accessible vehicles for sale at a decent price, and with all of the specifications that you need to keep you and your family happy. While there are various mainstream vehicles that are suitable for those who use a wheelchair, it may be difficult to find a specialist car dealership that understands the requirements that you have. 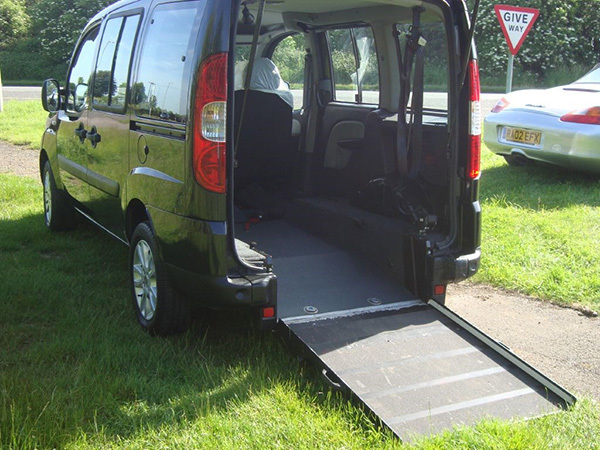 For those living in Oxfordshire and South East England, Mobility One have become the dealership of choice for those looking for wheelchair accessible vehicles. Mobility One are specialists in providing WAVs from top manufacturers, and have been for many years. On their website and at their Oxfordshire premises, Mobility One stock a huge variety of affordable and spacious vehicles to suit the needs of every customer. Each vehicle is listed with all of the details that you need to find the perfect WAV to suit your requirements. You'll find both manual and automatic transmissions, petrol and diesel engines and a range of prices from just £4,000 upwards to suit all budgets. One of the current vehicles available from Mobility One is a spacious VW Transporter - an incredibly roomy vehicle that offers plenty of headroom, a Ricon tail lift and loads of space for a wheelchair, which is available for less than £15,000. Alternatively, those looking at the lower end of the market in terms of budget may be tempted by the cherry red Citroen Dispatch that is available for £6,400, which features lowering suspension and an electric winch for wheelchairs, as well as a flip and fold rear seat that means that it can easily seat five plus a wheelchair user. These are just a few of the WAVs that Mobility One currently have in stock - to view the whole range, visit the website.